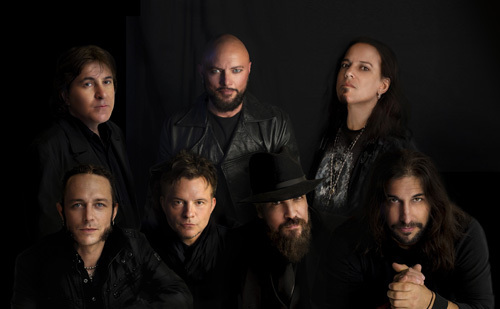 Geoff Tate returns with his Operation Mindcrime to finish his trilogy of albums with The New Reality. And once more I have no clue what's going on here with this conceptual album. As I said of the review of the middle album Resurrection, it has "something do with "virtual currencies and internet banking and stock trading." That's what I found on Wikipedia as little can be found elsewhere." Musically then, The New Reality is very similar to the previous Resurrection, a dense and multi-layered blend of melodic progressive rock and metal. Those layers include synths for atmosphere and orchestration, twin guitars for rhythm and solos, and two drummers for an abundance of percussive flurry and groove. Of these three, the latter are quite impressive. Presuming they both share the duties, the guitar solos from Kelly Gray and Scott Moughton are creative and impressive ranging from clean metal lines to jazz fusion. Much the same could be said for the drumming. The twin kits give Operation Mindcrime's music a dense, bombastic and, often, jazz-like groove. Honestly, the drumming was pretty awesome throughout. And then there's Geoff Tate's vocals. Across the album, he seems strangely restrained or purposely muted, and so difficult to hear and understand. You have to listen carefully and have the lyrics handy (which, of course, I did not as they were not provided). Tate is better heard on songs that have a lighter format such as The New Reality, the title track. 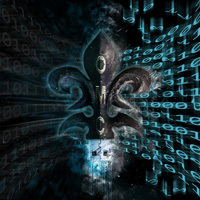 Perhaps Tate's best input comes from his saxophone play, something that is heard in many songs, again giving Operation Mindcrime a jazz fusion style. Notable inclusions come in It Was Always You, The New Reality, The Fear, and The Same Old Story. And saxophone in rock and metal is always awesome. All this is to say, the music is likely the best part of The New Reality, with Tate's voice something more an addendum to the same. The New Reality is like one long prog rock-jazz-metal fusion jam session with Tate showing up to add vocal commentary. And again I'm not sure how it will resonate with Tate or Queensryche fans. Maybe it doesn't matter. The music is likely the best part of The New Reality, with Tate's voice something more an addendum to the same. The New Reality is like one long prog rock-jazz-metal fusion jam session with Tate showing up to add vocal commentary.